The son of former slaves, Paul Laurence Dunbar was born and grew up in Dayton, Ohio. His father had escaped from Kentucky to serve in a Massachusetts regiment during the Civil War. He began writing poetry in high school and eventually acquired a large multiracial audience. 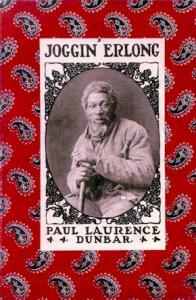 By late nineteenth century standards, Dunbar's work was steadfast both in its black pride and its rejection of racism. Yet during the Harlem Renaissance, his dialect poetry would win praise from Langston Hughes and Sterling Brown, while meeting severe criticism from James Weldon Johnson and others. The question was whether the dialect poetry gave voice to authentic black folk traditions or unintentionally collaborated in the racist tradition of white writers who employed black dialect to suggest slaves were happy under their masters. 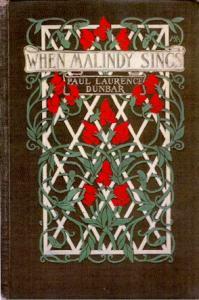 Yet Dunbar actually experimented with Irish-American and German-American dialects as well, and wrote many poems in standard English. Moreover, in his own lifetime, the poems in black dialect were published in heavily illustrated volumes whose realist photographs of rural black people effectively undercut any possibility for reading condescension or stereotyping into the poems themselves. 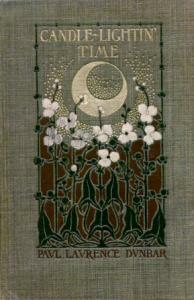 Unfortunately, the illustrations have never been reprinted. Joanne M. Braxton: On "Sympathy"
Peter Revell: On "When Malindy Sings"
Kenny J. Williams: On "When Malindy Sings"
Joanne M. Braxton: On "When Malindy Sings"
John Keeling: On "When Malindy Sings"
Jean Wagner: On "The Haunted Oak"
James A. Emanuel: On "The Haunted Oak"
Peter Revell: On "The Haunted Oak"
Gossie H. Hudson: On "The Haunted Oak"
Gossie H. Hudson: On "We Wear the Mask"
Peter Revell: On "We Wear the Mask"
James A. Emanuel: On "We Wear the Mask"
Joanne M. Braxton: On "We Wear the Mask"